I went to San Antonio and all I got was this lousy cold. Sorry about the negative title of this blog post. I did, in fact, get a lousy cold or some other type of ailment that makes me feel like I swallowed sand paper and my head is full of wet sponges and the mere act of picking up my purse is likely to make me collapse from exhaustion. I’m blaming the Alamo. Or the plane that brought me back from the Alamo last Monday and the sick person riding on it with me who probably needs to be reminded to wash his/her hands more often. 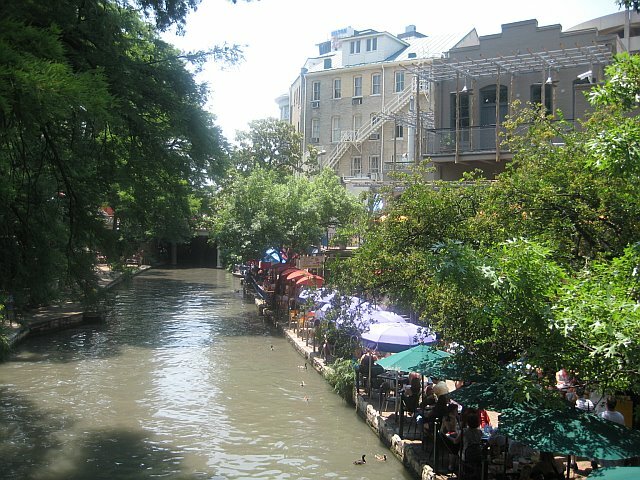 So here I am, with some exotic Southwestern Tex-Mex illness (sounds like it would go well with chips and salsa and a splash of lime if it weren’t for the illness part), and I just realized that I promised I would tell you about our trip to San Antonio. Well I’m not one to make empty promises. Let’s hearken back to the good ol’ days of one week and three days ago when Will and I arrived in lovely San Antonio and before I was struggling to free myself from the death grip of the Ol’ Western Texas Black Plague. What better way to spend Memorial Day weekend than with a veteran!? Thanks to Anthony and all of the other military people who are way less wussy than me! Check into the Westin River Walk – great view of the parking garage! 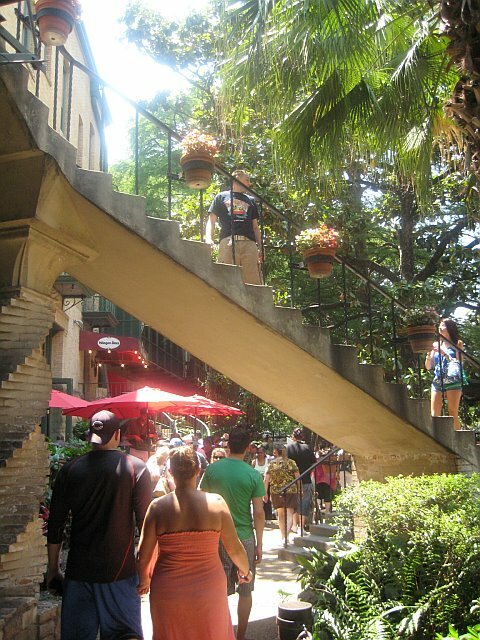 Take a stroll down the River Walk (a really fun place to hang out with friends if you’ve never been there). Zero in on the Mexican restaurant that looks like it has the best margaritas. Target acquired! 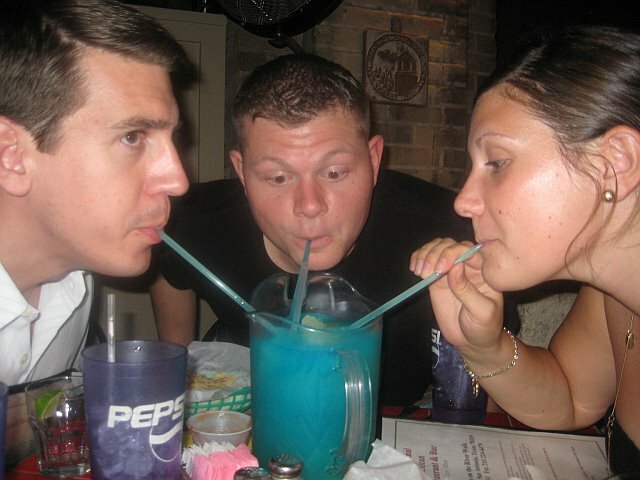 …3 pitchers later…let’s go play cards! Will, Sarah and Anthony attempt to teach me how to play Euchre while I demonstrate my limited mental capacity after drinking frozen margaritas for 2 hours (not sure if it was the brain freeze or alcohol that was the problem). We aren’t ones to ignore signs, and we did as we were told. Wake up. At 10:30 am. 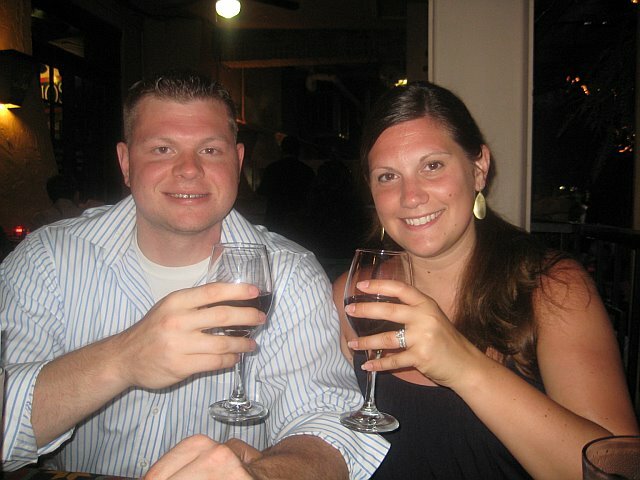 I suppress my jealousy as Sarah and Anthony use their awesome iPhone apps to find a place to go to breakfast. My Blackberry Yelp! app didn’t stand a chance. Hit the pool. And the pool bar. Ok, that was a really condensed summary, but I’ll just say this – it was a great time! I think we all left with a newfound appreciation for the card game “Golf” and a deepening suspicion for all servers named Joshua (inside joke alert!). Due to the evil San Antonio Fajita Fever and lack of oxygen flow to my brain, I tire easily. Hence, these photos can probably sum up the trip better than my words right now. 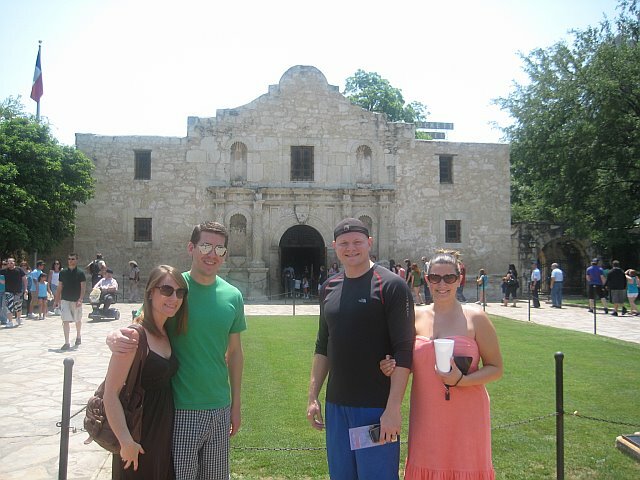 And don’t forget the Alamo! Or remember it! Whatever. Where’s the Dayquil? 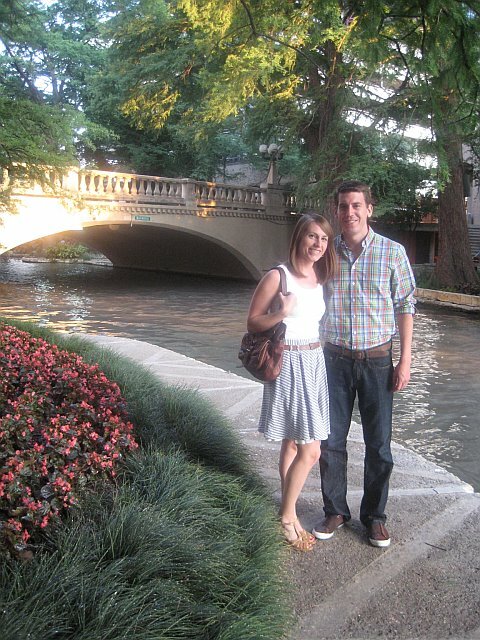 This entry was posted in Travel and tagged Alamo, Carlie, Carlie Crash, cold, Riverwalk, San Antonio by carlieblissirwin. Bookmark the permalink.